The Cuban sandwich, also known as a Cubano, has a rather intriguing history and that’s largely because there is some debate as to how it came to be. Learn a bit more about this variation of a ham and cheese sandwich that goes way back before Miami was even registered on the map. According to all Floridians, you are not a true Floridian – even if you were born and raised here – if you haven’t ever had a Cuban sandwich. For me, growing up in Miami, they were impossible to avoid. And a sandwich this delicious is not something you can walk away from. But the Cuban sandwich, also known as a Cubano, has a rather intriguing history and that’s largely because there is much debate as to how it came to be. However, by most accounts, it once travel from Cuba to Florida somewhere around the late 1800s. Cubans set sail for employment opportunities in Florida by that time. Ports like Key West and Tampa were by and large, the easiest to access. The first series of immigration of Cubans to the United States resulted from establishment of Cuban cigar factories in Tampa. Thousands of Cuban settlers also immigrated to Louisiana between 1778 and 1802, and since 1820 the Cuban presence in the US was considerably large throughout the south. Because of all this coming and going, historians are not quite sure when the Cuban sandwich first appeared, or where exactly it appeared, or who was responsible for delectable sandwich. However, many of them suppose that it likely made its debut somewhere around Tampa’s Ybor City, thanks to the booming cigar industry. Time marched on and as the Cuban population blossomed throughout the southern portions of Florida, the Cubano did as well. By the 1960s, it was a staple in Miami cafeterias, however because many Cubans also sought refuge from Castro’s rule in their home land, they found themselves calling places like New York, Jersey and Chicago home. Two cities, Tampa and Miami, have been locked in the battle to claim the Cuban sandwich as its own. Most food historians now agree the sandwich was invented in Tampa’s Ybor City. There’s not much difference in the Cuban Sandwich between both cities, only the differently-shaped bread, and the salami or swipe of mayo used, depending on who’s making it. So what’s in this iconic sandwich that has everyone clamoring for it? Again, some will debate the contents of an authentic Cuban sandwich, but it can pretty much be agreed upon that it all starts with a loaf of Cuban bread, somewhere between 8 and 12 inches in length. The bread is gently buttered or even brushed with olive oil. Inside, yellow mustard is generously spread and then slices of roast pork, glazed ham and Swiss cheese are layered on top. The coup de gras is the thin slices of pickle. Then, it’s toasted in a sandwich press like the kind you’d use on a Panini. The disputed ingredient is salami. Original accounts from newspapers in the 1930s list salami as an ingredient but you’ll never find it on a Cubano in South Florida. As a native Miamian, I have never once seen salami on my Cubano, and as much as I adore salami, I’m not sure I want it there. In Miami, the best places to grab a Cuban are easy – Versailles, Palacio de los Jugos and Enriqueta’s. Further north in our state, head to Tampa where the rich Cuban history also makes it a contender for best Cubanos and try Columbia Restaurant. The Columbia Restaurant is Florida’s oldest restaurant. 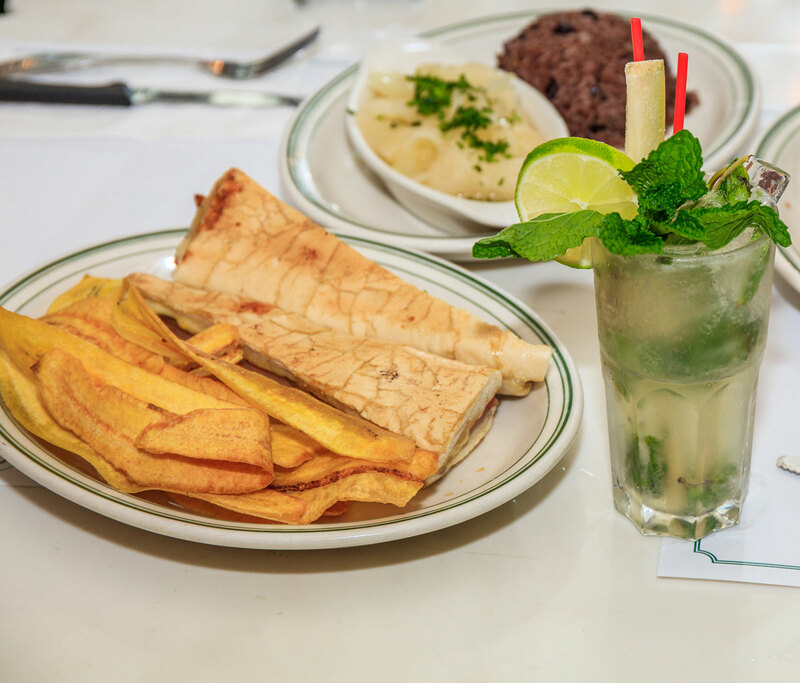 It was founded in 1905 by Cuban immigrant Casimiro Hernandez, Sr. A small 60-seat corner cafe known for its Cuban coffee and authentic Cuban sandwiches, frequented by the local cigar workers at the time, now the largest Spanish restaurant in the world. 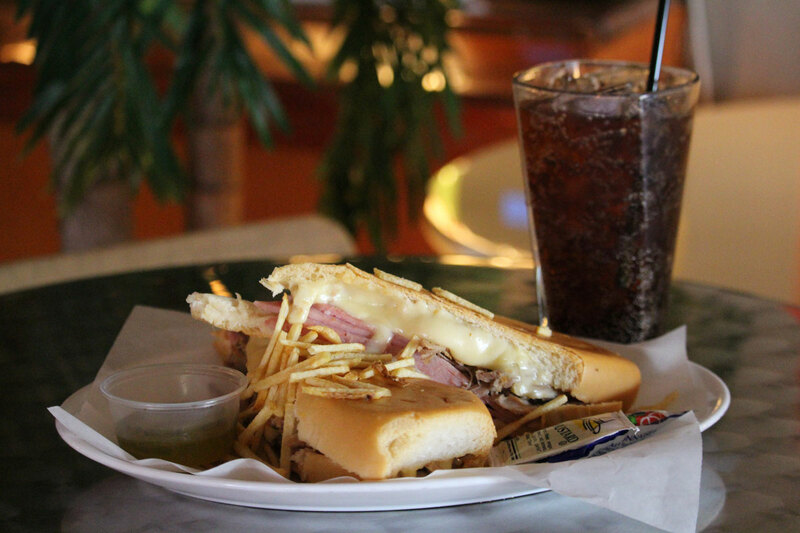 It is said that Casimiro’s Cuban sandwich recipe of 1915 is the perfect iconic cubano. But whenever in doubt of where to try the best Cuban sandwich in your area, ask your Cuban friends where they go to get their fix. The Iconic Cubano: How the Cuban Sandwich became legendary in Florida. Few commentaries about why a Cuban Sandwich is so popular in Florida.